South Africa’s first cat café is rescuing feline friends from the Western Cape and giving them a special home where cat-lovers can visit them. And while you’re there, you can stock up on all sorts of cute cat goodies and humans can enjoy tasty treats. Local resident and retired academic, Valerie Steinmann, spent the best part of the last 20 years travelling the world. It was in Thun, Switzerland that she came across “a true cat lover’s shop”. Enchanted by her discovery, Valerie’s passion for “all things cat” was ignited and thus began her cat crusade, collecting unique cat gifts from around the globe. This is a must if you love cats. To share her kitty treasures with local feline lovers, Valerie opened Cat Heaven, her own Cat Gift Shop. Here visitors are transported to a cat lover’s paradise. Cat-inspired handbags of all sizes. Fulfilling her dream of travelling, shopping and cats, Valerie’s crusade took her to the Cat Cafés of Asia. This craze has now taken ahold of the world. “After four visits to Japan, I decided to open my own unique Cat Café back home. 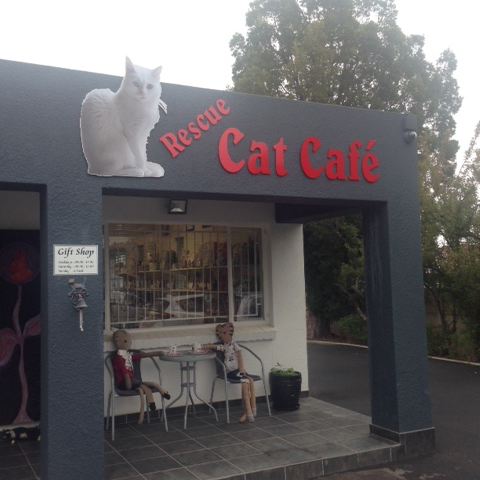 Where most Cat Cafés deal with special breeds… the beautiful cats, ours is different, aimed at assisting cats in need of a home, a first in South Africa,” says Valerie. 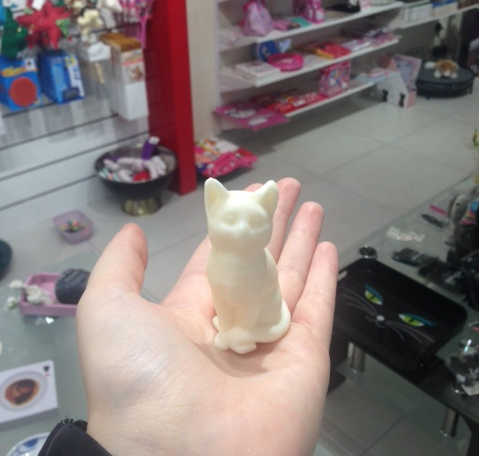 Cat Soap, one of the many goodies on offer. 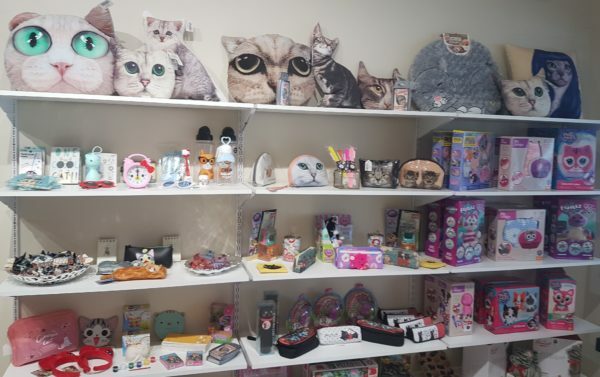 Visitors can feast their eyes on a paw-sitively paw-some array of unique gifts from rare collector items to clothing, jewellery, books, fabric, stationary, toys, ornaments, homeware, chocolates, bumper stickers, mats and more cat-inspired gifts than you can imagine. You could look through the two designated cat shop areas for hours and still see new items you missed before. This is the place to be when shopping for a cat mom or that friend who can’t get enough kitty goodies. Just a few cat goodies on offer. Last year, 12 adorable cats from Stellenbosch Animal Welfare left their shelter cages behind and moved on to a life of luxury with lots of space and love at Cat Heaven Rescue Cat Café. 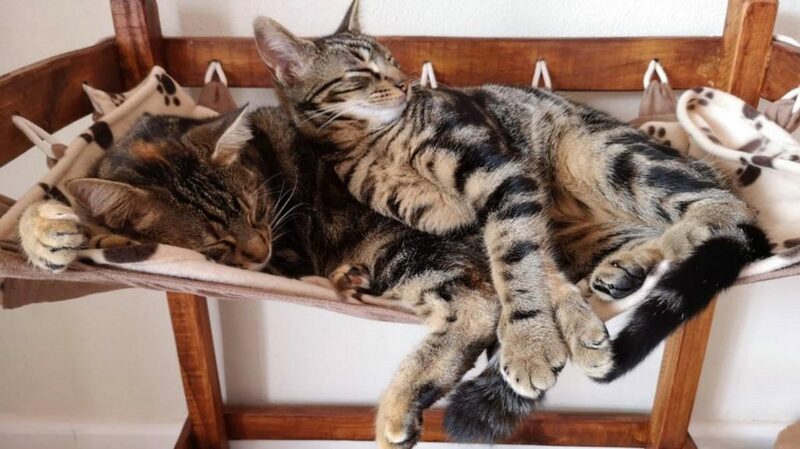 “I was overcome with excitement and couldn’t wait for my precious rescue kitties to settle down and feel comfortable in their new environment. A place where our cat-loving visitors would be able to enjoy each other’s company,” continued Valerie. 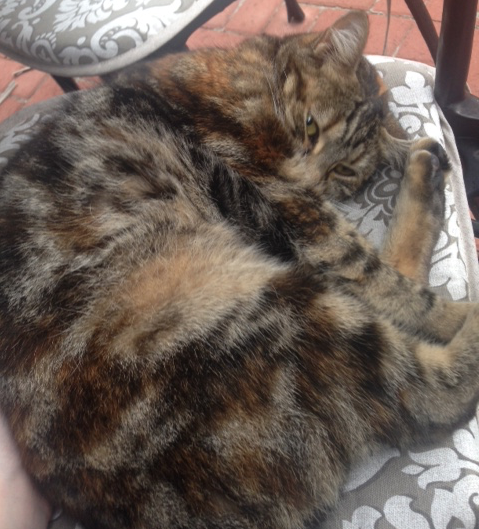 Cat Heaven is now home to 17 and soon-to-be 20 friendly little felines who love to join your table for a nap or a cuddle while you enjoy a delicious cup of coffee or decadent slice of cake. A cuddly kitty came to say hi. Cat Heaven’s kitties even have a charming indoor play area complete with a jungle gym, scratching posts, cosy beds, hammocks, mirrors (which they adore) and lots of toys for their amusement. They even have a lovely garden with an outdoor jungle gym and lots of catnip. 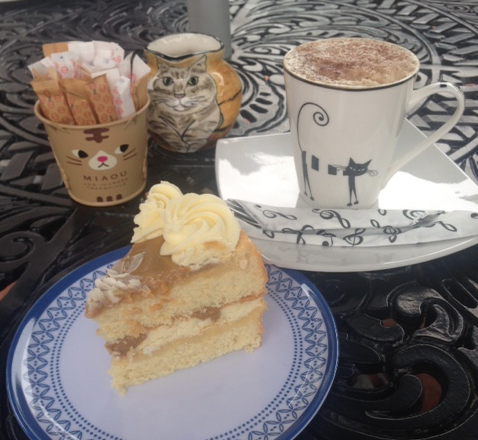 While you relax among the cosy cats, you can also order one of the many delicious cakes on offer paired with a coffee, cappuccino or tea. The delightful cat-themed crockery adds the purrrfect personal touch to the experience. A delicious vanilla caramel cake and a cappuccino. They offer in-house adoption which allows cat-loving patrons, who can’t have a cat at home, the chance to become a parent to their very own four-legged child at Cat Heaven. Once adopted, you can visit him or her on a regular basis and will be being kept up to date with their kitty’s comings and goings. “Our Cat Café was built and designed with the happiness and pleasure of our cats as a priority. 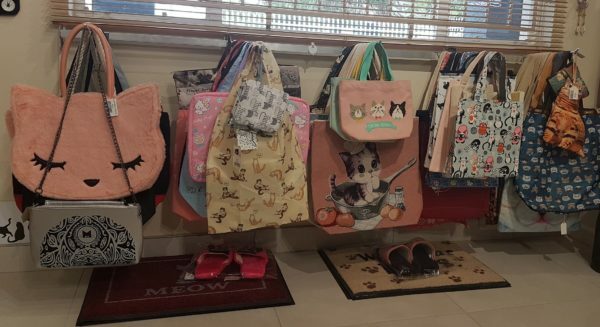 To ensure our cats are well fed and have access to medical care, we charge an entrance fee along with the sale of coffee, tea, soft drinks, cakes, cookies, biltong, popcorn and Pedal Pops. All our cats are micro-chipped, vaccinated, treated for fleas and worms, insured, groomed daily and bathed when required. We have a display area with pictures of all our cats on a wall, along with their names to ensure that patrons can get to know them individually. We have a list of very necessary Cat Café rules and a zero-tolerance policy for anyone causing distress to our furry children,” says Valerie who is currently studying Ethology, specialising in cats, and will soon be graduating as a Cat Behaviourist. A sleepy little friend at our table. Cat Heaven Rescue Cat Café is a non-profit organisation. 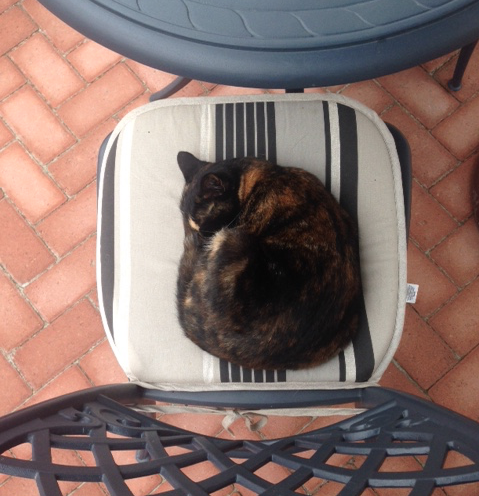 All funds generated at the Café go towards the feeding and maintenance of the health and welfare of the resident cats, and their environment. Any excess funds are donated to animal charities. “Our mission is to tell people, don’t buy animals, rescue them from shelters. 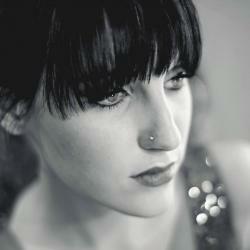 The best part of our work here is seeing all the different personalities, you could write a book about each one. See our cats come out of their cages literally and figuratively is amazing, we love to see them being happy and free,” said Valerie. – The entrance fee to the café is R20. – Coffee, tea, soft drinks, cakes, cookies, biltong, popcorn and Pedal Pops are served. Birthday cakes are permissible by prior arrangement. 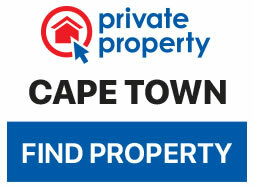 – Cat Heaven’s premises offer ample parking and good security. 1. Please sanitise your hands on entering the Cat Café. 5. Photographs are welcomed, but no flash photography. Cats’ eyes are very sensitive. 7. Only food purchased at the Café may be consumed on the premises. 8. High-heeled shoes are prohibited.